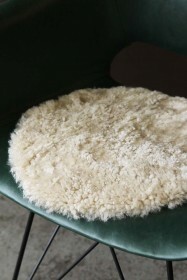 If you’re anything like us, you love to dress your furniture with sheepskin rugs which instantly add cosiness, texture and warmth to the home. So, you can only imagine our delight when we came across the Circular Sheepskin Wool Pad –Black. 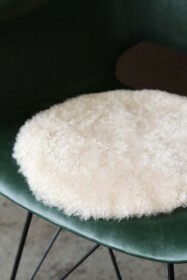 Beautifully unique, the Circular Sheepskin Wool Pads are the perfect soft furnishing accessories for your office chair, kitchen chairs and bar stools too! 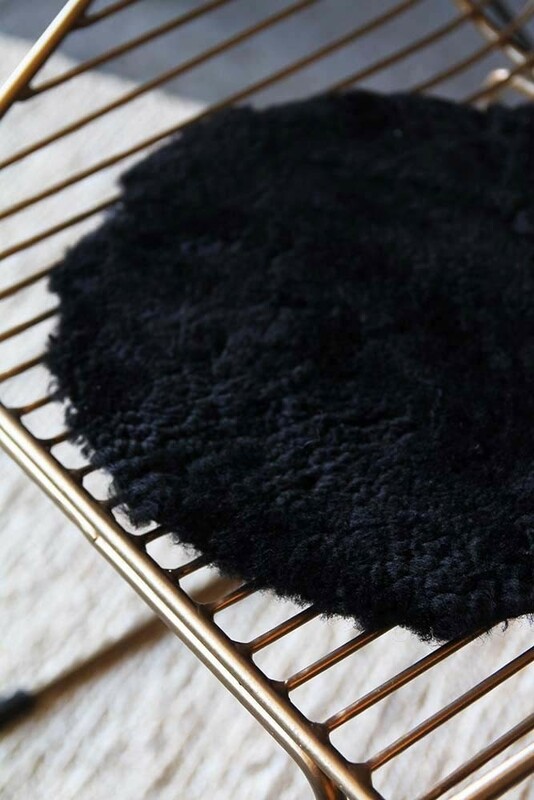 Pair the Circular Sheepskin Wool Pad - Black with metal bar stools to soften the look or add to your leather dining chair to create an interesting juxtaposition between the softer sheepskin material and the industrial leather look. 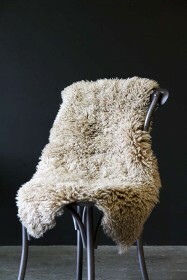 Available in a range of colours, including Bamboo Taupe, Pearl Beige, Anthracite Grey and Black mix and match the Wool Pads on your chairs as an interesting and cosy alternative to cushions! 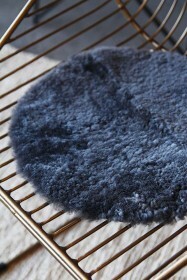 RSG Top Tip: Learn how to care for your Sheepskin Wool Pad, by checking out our guide here.